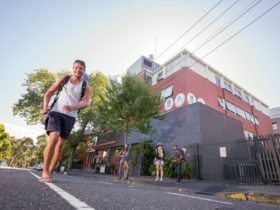 The first things you notice at Holiday Inn Melbourne on Flinders are the genuine, warm smiles and welcoming vibe. 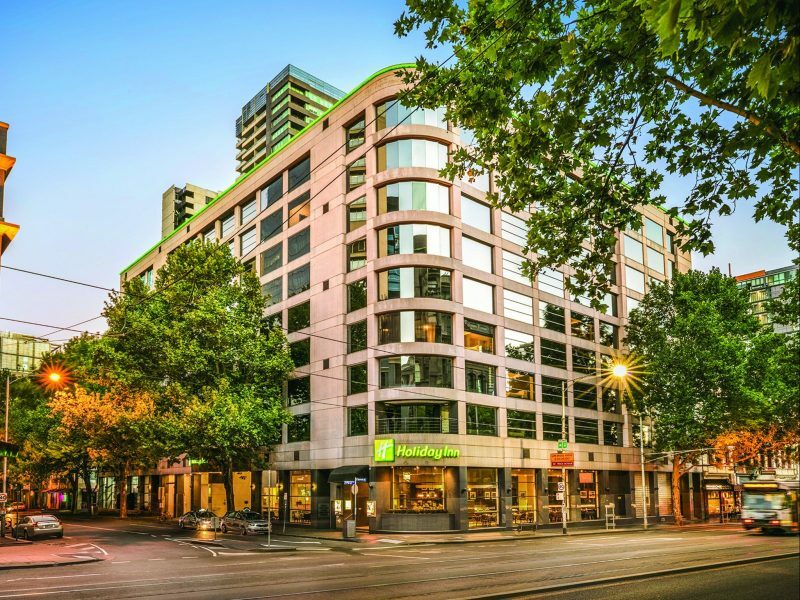 It is the perfect Melbourne base – on the corner of Flinders Lane and Spencer Street, close to shops, restaurant and Crown Casino. The nearby trains and skybus are convenient and being in the free tram zone is a massive bonus. Behind the leafy urban facade, the rooms and suites will redefine your expectations. 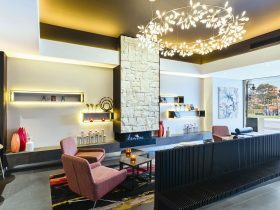 They have been renovated with a serious injection of style and are thoughtfully designed with the traveller in mind. Kick back after a long day on the comfortable pillowtop bed, watch the big smart televisions with HDMI connectivity and make the most of the awesome showers and free WiFi. 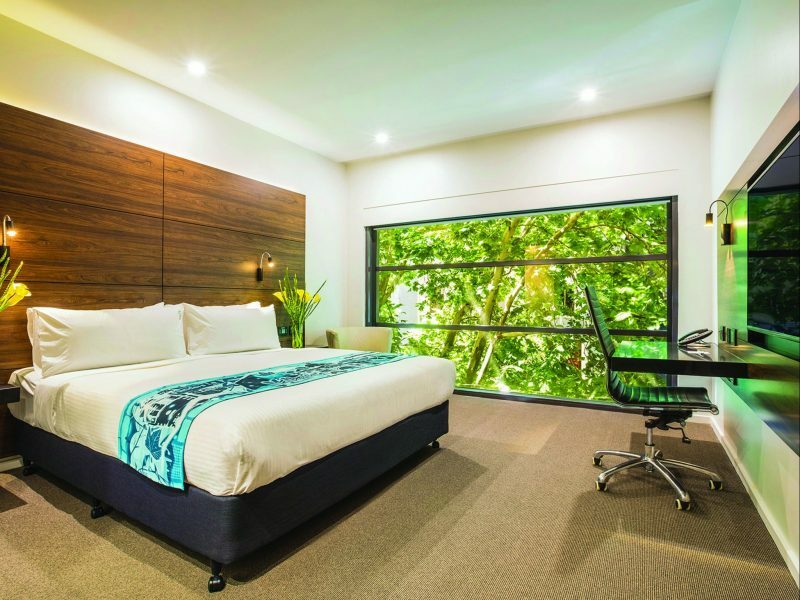 Floor to ceiling windows reveal leafy urban, cityscape or pool views and flood the guest rooms with natural light – with blackout blinds for sleep-ins. On balmy days, unwind with a cool drink on the outdoor deckchairs beside the vibrant outdoor blue-tiled pool. Dip your toes or take a swim in the afternoon sun. 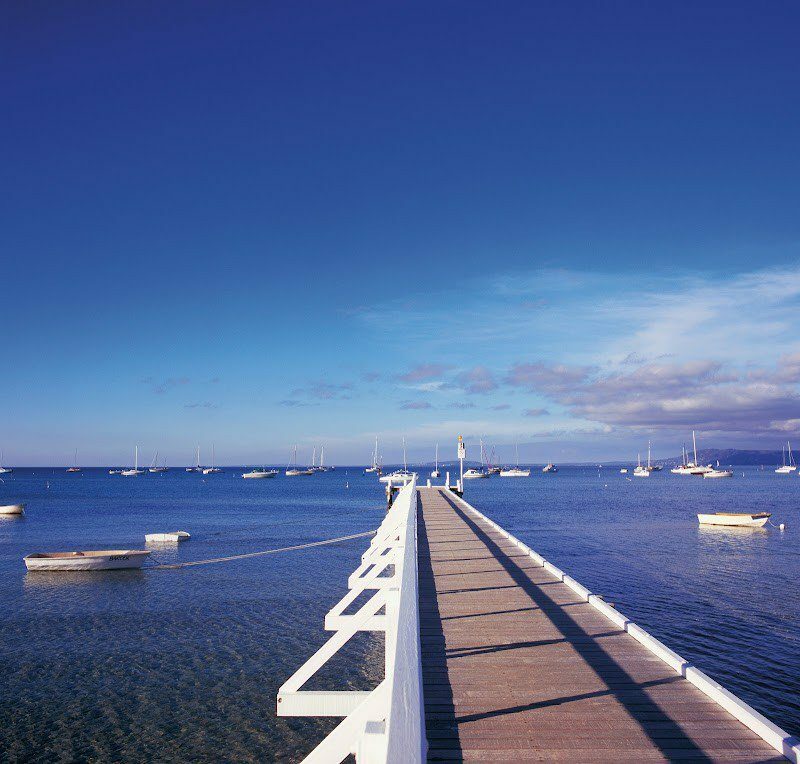 You are sure to rediscover the joy of travel in Melbourne. If you are travelling with friends, family or by yourself, be assured that the 28 square metre Urban and Poolside Rooms have been designed to make sure that you enjoy your trip. The Urban and Poolside rooms feature a choice of view, which will be based on whether you would like to face the pool or watch the bustling Melbourne streets. Relax and admire the Melbourne view from your floor to ceiling windows or utilise the functionality of the complete blackout blinds or sheer blinds which are electric and can be controlled bedside. The bathrooms are spacious and make it easy to get ready with an over sized shower, anti steam mirror with an inbuilt light, SOAK amenities and plenty of room for toiletries. The hotel rooms at Holiday Inn Melbourne on Flinders have also been given a tech upgrade. Charge your phone bedside with your alarm clock which charges smartphones or with the television which includes USB and HDMI connectivity. Stay up to date with the latest news worldwide with free WiFi. 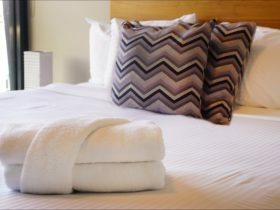 No matter if you are staying in Melbourne CBD for business or leisure, the King Executive and Two Bed Executive rooms offer 28 square metres of space. Feel at home with the light wood grain and relaxed tones. Sleep well in your performance pillow top bed with your choice of soft or firm pillow. Block out the Melbourne city lights fully or partially with the new electric blinds which are conveniently located right beside the bed. Get ready in the bathrooms which have been designed with the traveler in mind with an oversized shower and backlit mirror. Guests can enjoy upgraded Biology amenities which are exclusive to the Executive Rooms. The hotel’s technology has been given an upgrade, with all rooms now having MediaHub with HDMI and USB charging ports which connect to the 55 inch HD television, giving you the ability to stream movies. All of the rooms have complimentary WiFi, so you can be confident in your ability to stream your latest show or movie. 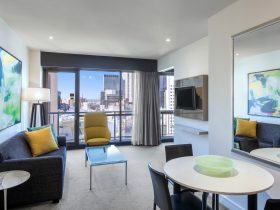 Choose the King Flinders room and enjoy the views of Melbourne city, as well as the natural light from the floor to ceiling window. The 31 square metres of space has been designed to ensure that you get the reset you deserve with electric blackout blinds giving full or partial coverage. Relax and enjoy the best Melbourne city has to offer from your leather chair with a tea or coffee from the Sirocco Restaurant. Get ready for the day in the bathroom which includes dual rainshower and dual sinks, with upgraded amenities from Biology. Enjoy the techology upgrades which include free WiFi, MediaHub with USB and HDMI connectivity or the 30+ Foxtel or free to air channels on the 55 inch full HD television. 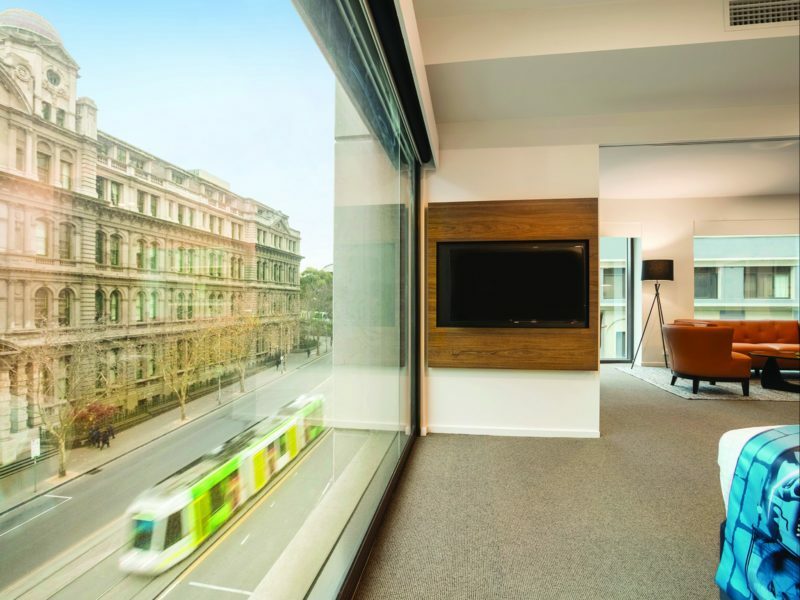 The Spencer Suite is located on the corner of Spencer Street and Flinders Lane and provide panoramic views of the Melbourne city streetscape. As soon as you step into the room, you will know you have arrived with floor to ceiling windows which provide a complete view of Melbourne. 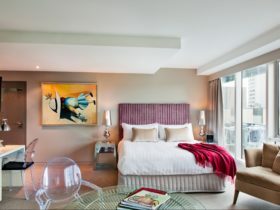 Each of the suites provide 60 square metres, to spread out and enjoy the space to relax or entertain. The Spencer Suite has been zoned into dining and living areas, with the ability to separate the areas with a sliding door if needed. The suite has been upgraded to have the latest technology. Sit from either the bed or couch and enjoy the 40 inch and 55 inch full HD televisions which have over 30 free to air and Foxtel channels. If you would like to stream a movie or show, with the new televisions you can connect to them with the HDMI and USB connectivity. Get ready in style in the bathroom which feature dual sinks, dual rain shower and upgraded Biology amenities. 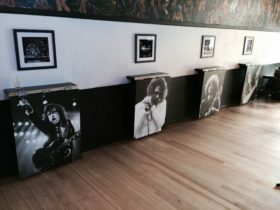 The suite also features free WiFi, so you can keep up with the latest news. Kids under 12 years stay and eat free.